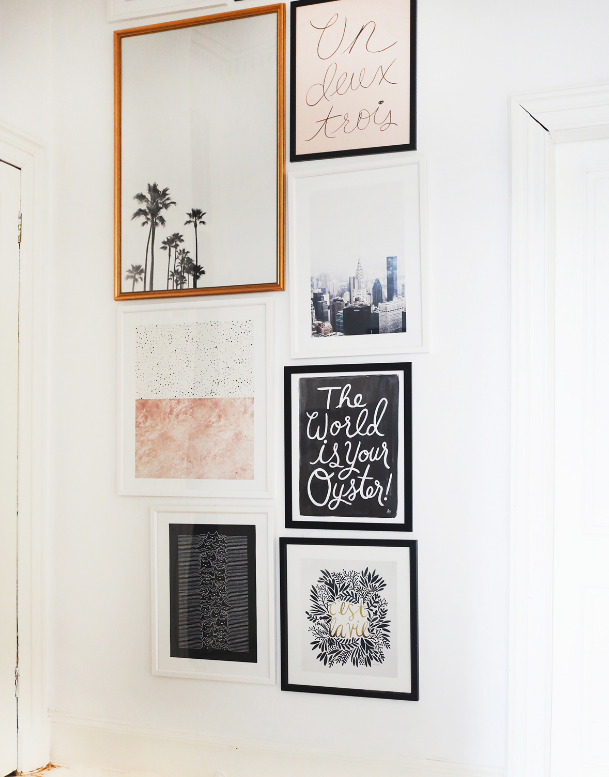 If there’s one home decor trend that we’re all over at the minute, it’s the feature gallery wall. 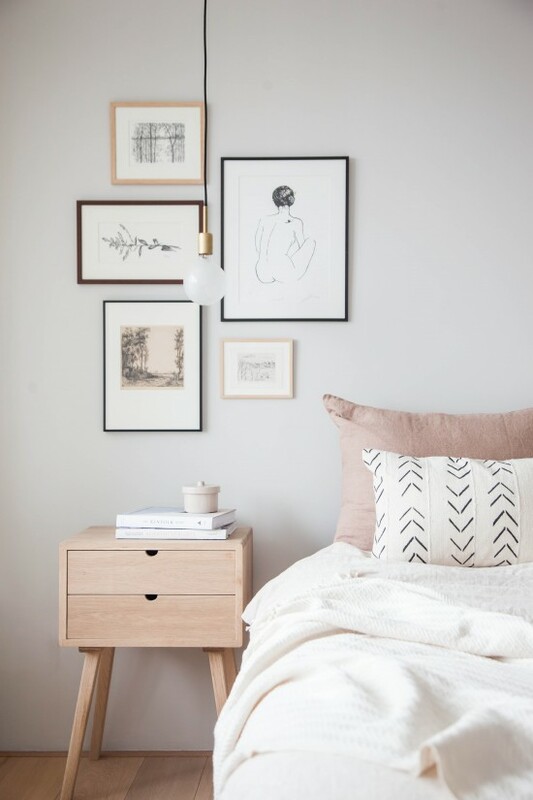 I mean, it’s an extremely simple way to bring a touch of minimalism into your home, yet can also be the source of displaying family photos in a creative way… Who wouldn’t love one? 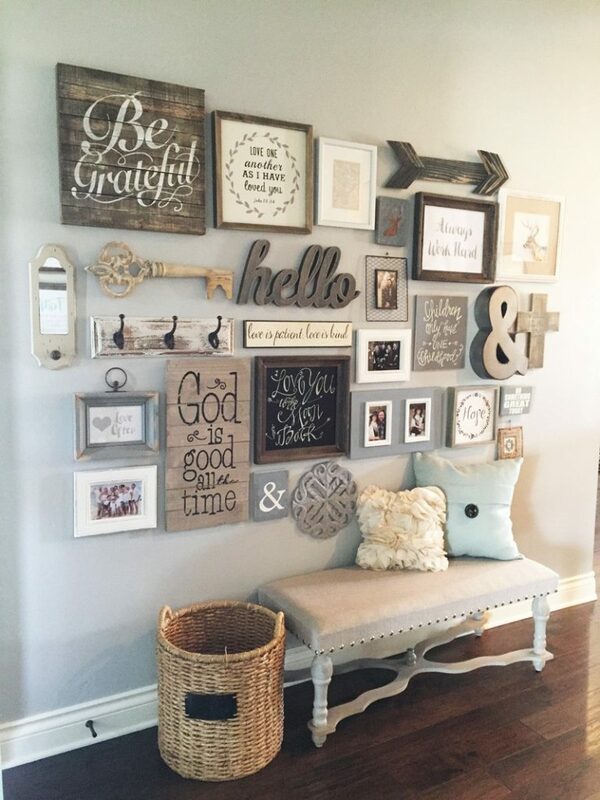 Although a feature gallery wall looks amazing once done right, it can be a hard task getting there. If you haven’t got a creative bone in your body – or just can’t envision how to get the best out of your display – there’s no need to worry. The first – and arguably most important – step for creating a feature wall is to decide on your theme. 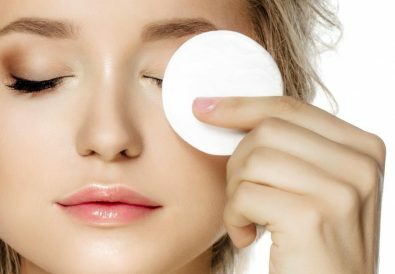 There are a number of styles that you can choose from. We love this example by Urban Outfitters, which uses pale pink, pastel and monochromatic shades to give a cool, stylish vibe. Despite using a similar theme, unlike the first example we’ve shown, this gallery wall only uses a combination of 5 photos and frames yet still looks elegant and stylish. A feature wall doesn’t need to be over-crowded and complicated. 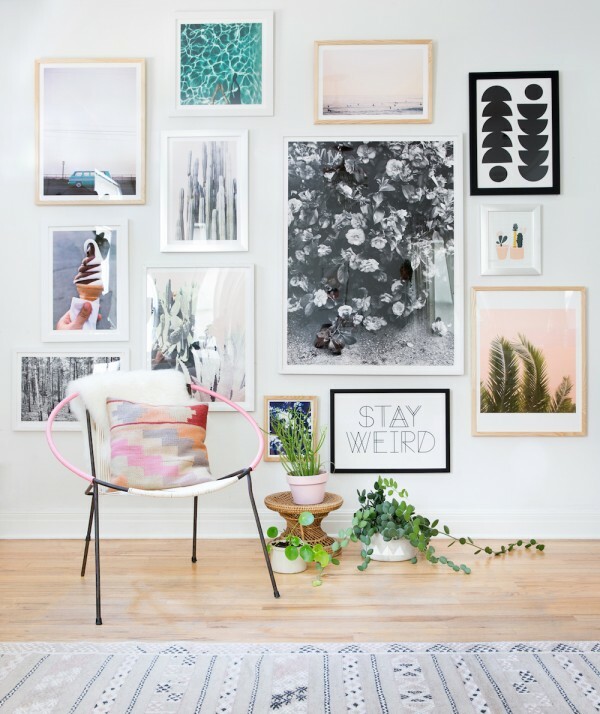 In fact, a wall space that holds too many photos and graphics can cause the eye to wander and take away from the uniqueness that a gallery wall can give. The layout which your feature gallery wall uses is a huge influence on the overall finished effect. This ‘how to’ guide by Pottery Barn demonstrates a number of templates and how you can use them in your own home. Some of the best feature walls I’ve seen are ones that use a variety of textures – not just those with photos and images. Whether it be graphics, clocks or even souvenirs, it can help to add interest to your space and add textures.